Looking for new uniforms for your youth league? Church league? Corporate league? We’ve got them all and everything in between. Finding the perfect baseball jersey is easy with us. We offer every style of custom baseball uniform your team needs, including a full lineup of choices for men’s, ladies, and youth players. We carry sleeveless jerseys and shorts, and also the classic button down jersey and pants. Coaches and parents looking to represent their team on and off the field have come to the right place. 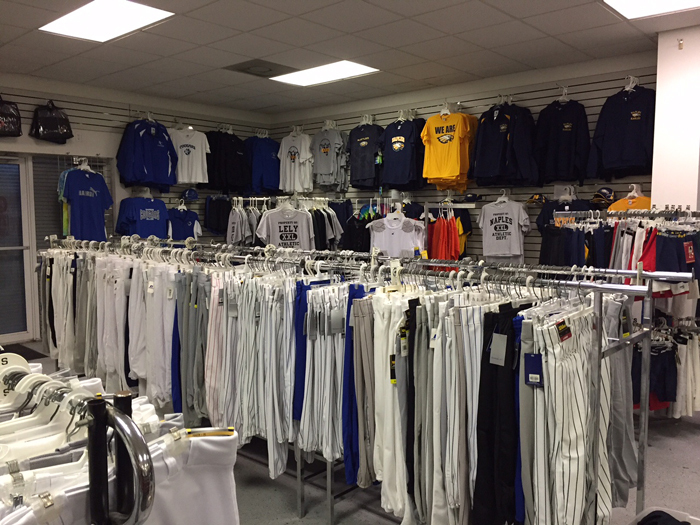 Our large selection of coaches’ apparel and fan jerseys lets everyone show their team pride. Custom team sweatshirts and jackets will keep you warm from early spring practices through those chilly fall games. We offer many ways to decorate your team’s uniforms and jerseys to look like the pros! Choose from screen printed designs and logos, or embroidery to give your team a lightweight jersey. Perfect for summer double headers or long days on the practice field. Printed jerseys also come in kid friendly sizes! Perfect for youth teams for smaller sizes and designs. Our graphic designer can scale down your team logo and keep it looking sharp for youth leagues!